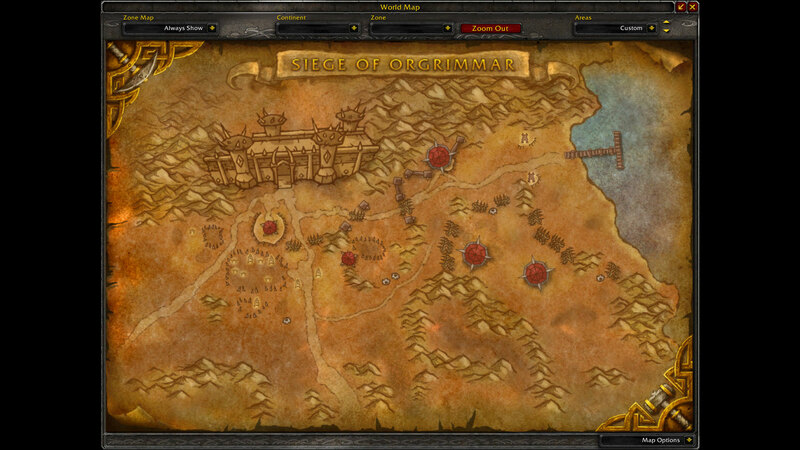 The Dark Shamans encounter in the Siege of Orgrimmar 10-players Normal Raid testing took place yesterday. 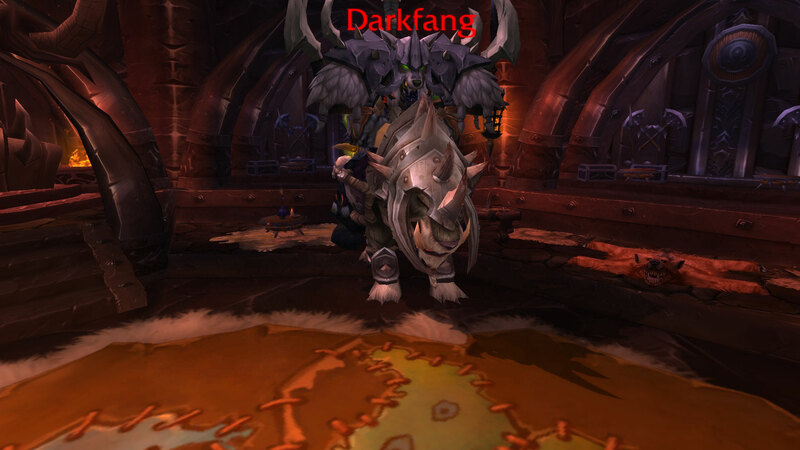 These two bosses and their mounts can be found inside the Grommash Hold. 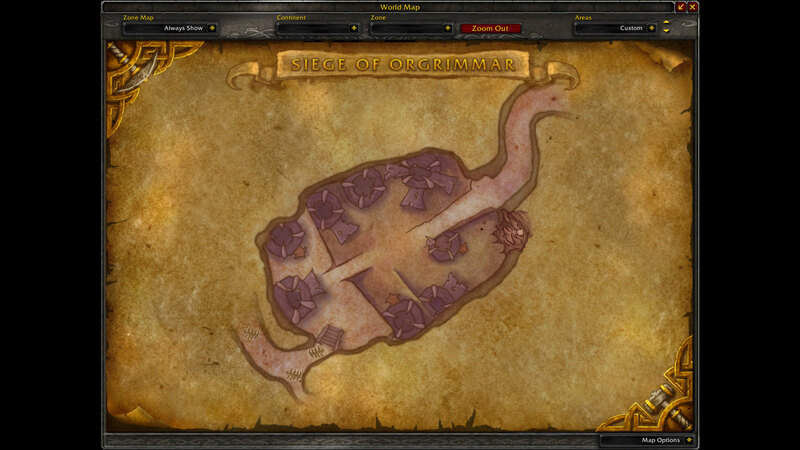 However, fighting inside the Grommash Hold is not recommended at all. 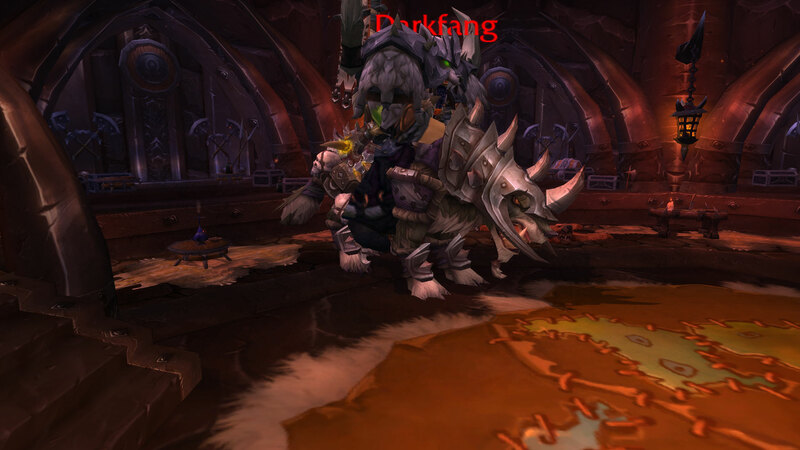 The two wolves: Darkfang and Bloodclaw die pretty fast. 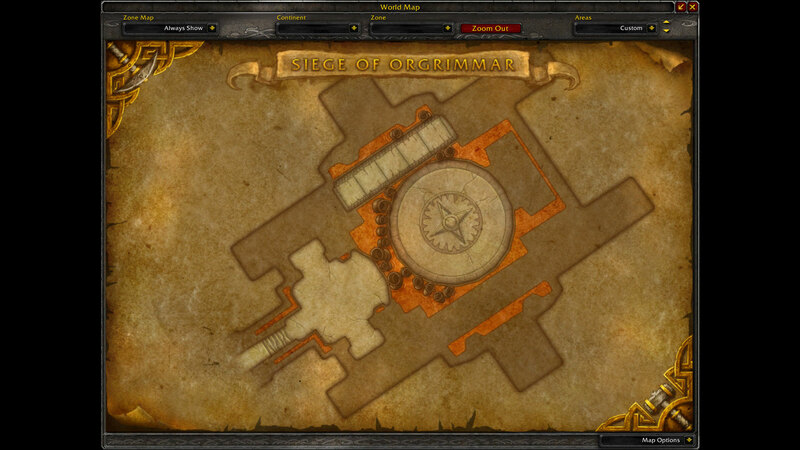 Focus fire on them while the tanks build aggro on the bosses. That encounter felt really hard with the Wavebinder Kardris summoning tornadoes and oozes. Healers have to really spam heals and be on their toes ready to run out of the way of the tornadoes if they wish to survive. 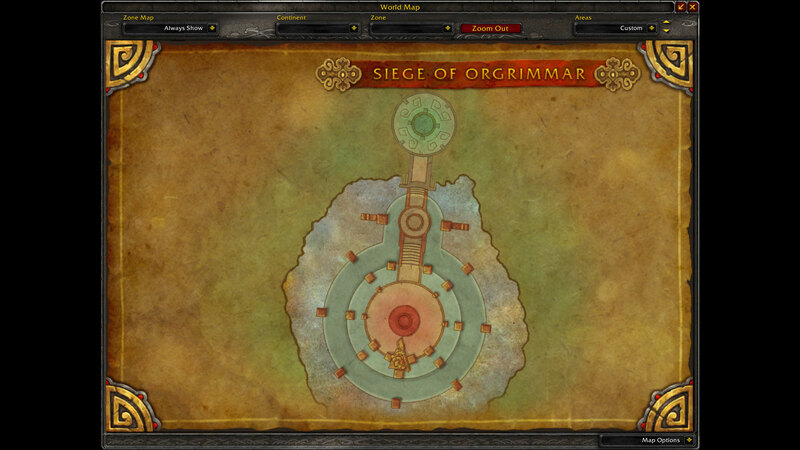 The storm places a dot that last a bit over 20 seconds in which time the healers need to constantly spam heals on the raid. Three healers might be needed for this encounter. 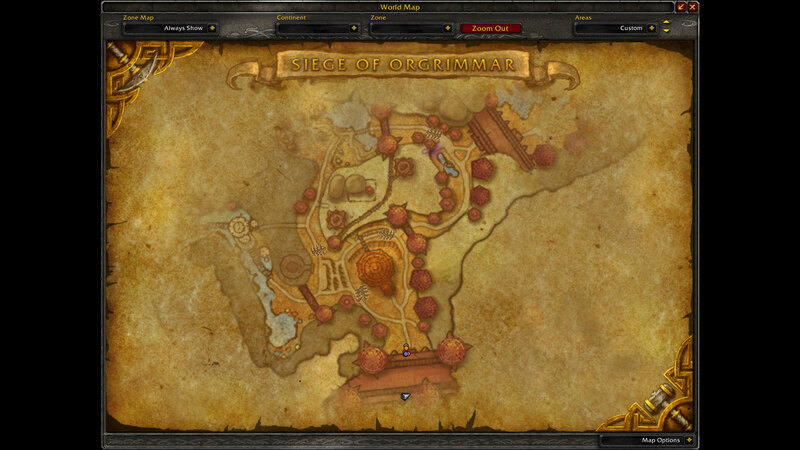 For my first three attempts, the raid wiped as soon as the tornadoes covered the entire area. I kept wondering if some kiting might be needed to reduce the amount of tornadoes slaughtering raid players. 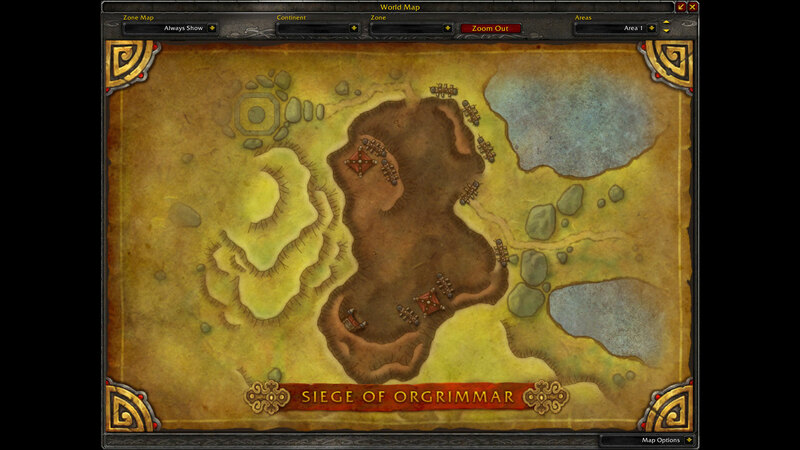 The area around the Grommash Hold has no obstacles preventing players from kiting. 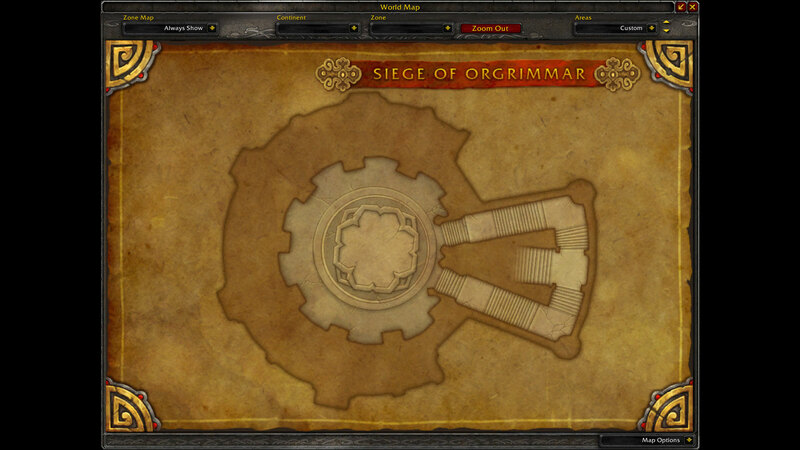 Something fans might have overlooked is that these two Siege of Orgrimmar bosses were actually Shaman trainers. 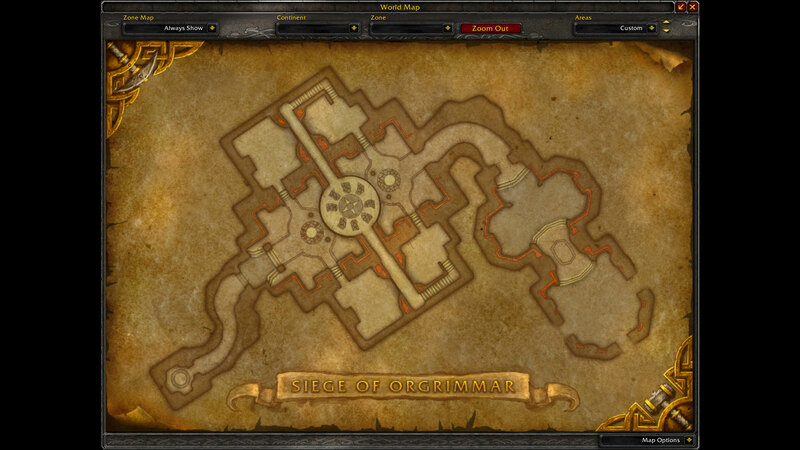 Haromm was located at Stonard in Swamp of Sorrows. 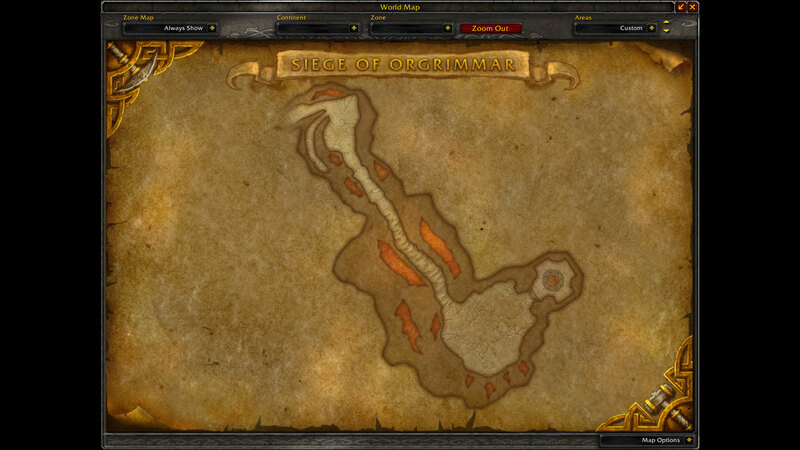 Kardris Dreamseeker was found in Orgrimmar at the Valley of Wisdom next to the campfire. Disclaimer: My main is a Holy Paladin. 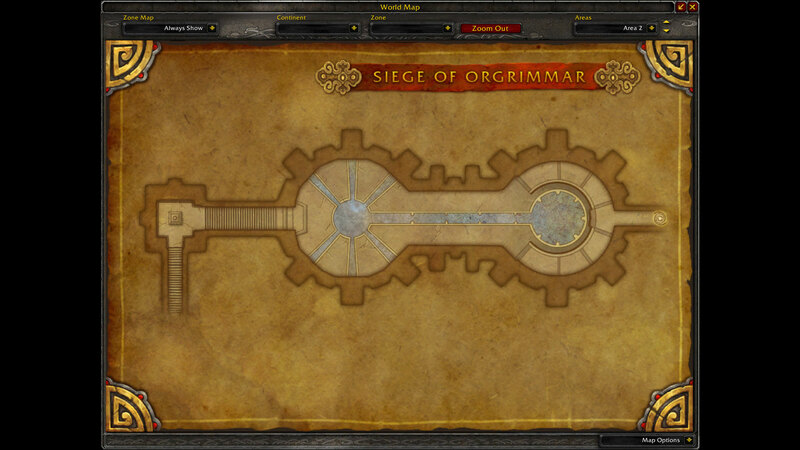 In PTR I use a shadow priest for the mind vision spell (used in some videos for close ups). 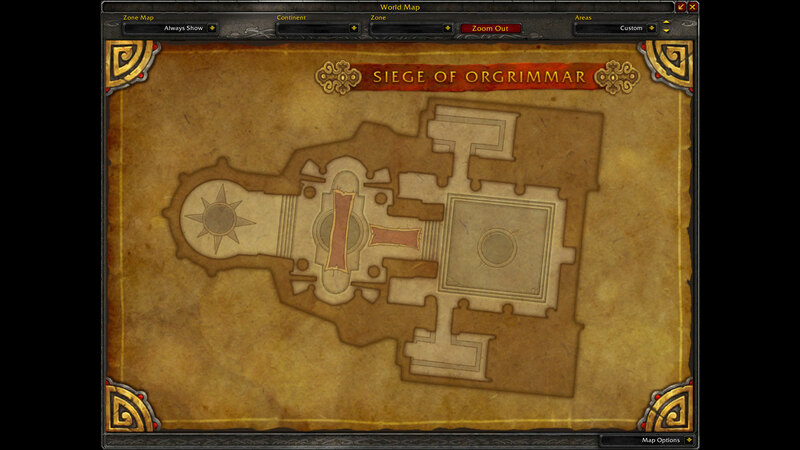 I don’t know Shadow Priest rotations and whatnot. 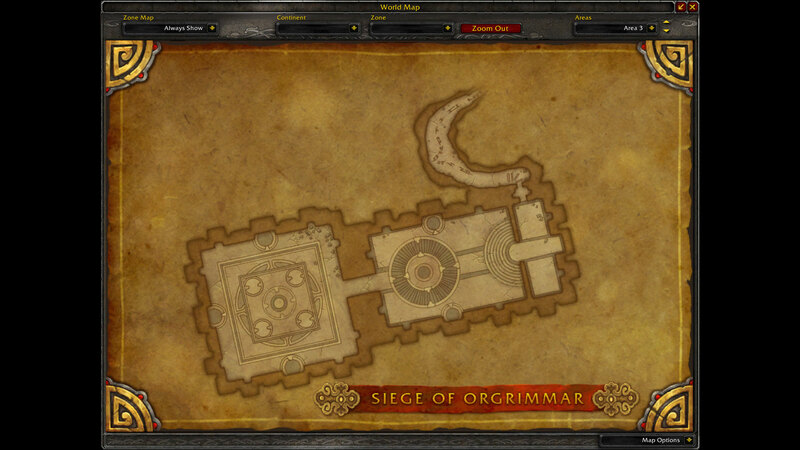 Please, focus on the bosses and their abilities before commenting about how horrible the shadow priest is. Thank you. 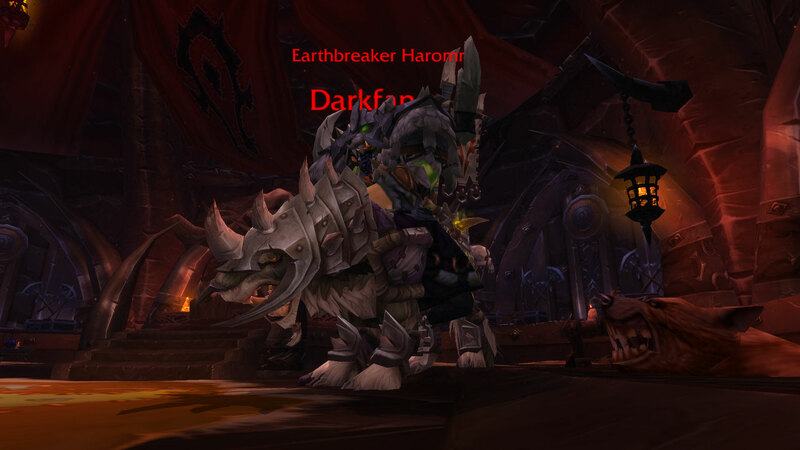 Spirit Link: Damage dealt is shared between Earthbreaker Haromm and Wavebinder Kardris. Bloodlust: When the Dark Shaman reach 30% health remaining, they will go into a blood frenzy, incresing all damage dealt by 30% and haste by 30%. 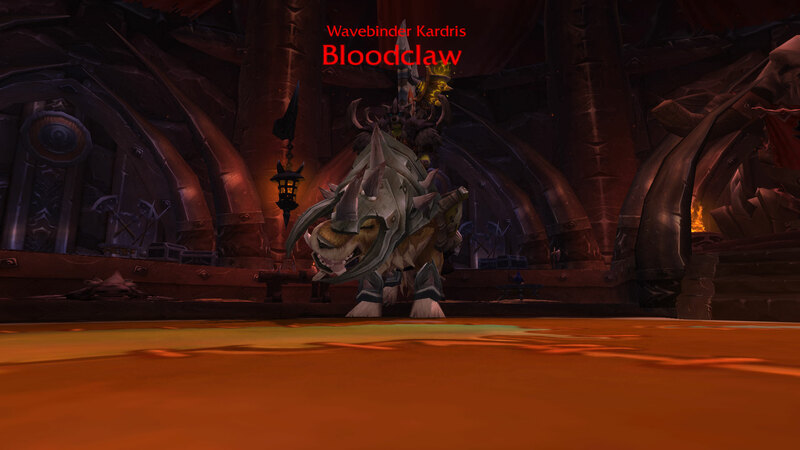 The riding wolves of the Dark Shaman, Darkfang and Bloodclaw will visciously defend their masters. Swipe: Inflicts 185000 to 215000 Physical damage to targets in a 5-yard cone in front of the caster. Rend: Visciously rends a player, causing them to bleed for 20000 Physical damage every 1 sec. for 15 sec. This effect stacks. 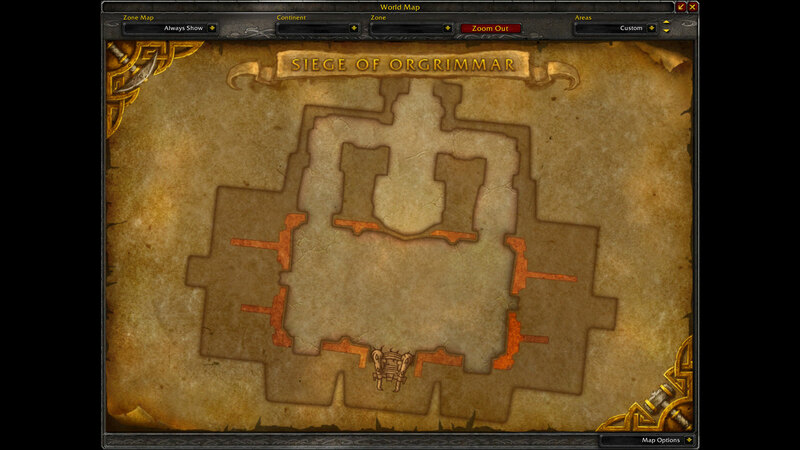 The Dark Shaman will drop Totems during the fight that grant them new abilities. Poisonmist Totem: Poisonmist Totem grants Earthbreaker Haromm the Toxic Mist ability, and grants Wavebinder Kardris the Toxic Storm ability. The Dark Shaman drop Poisonmist Totems upon reaching 90% health. Foulstream Totem: Foulstream Totem grants Earthbreaker Haromm the Foul Stream ability, and grants Wavebinder Kardris the Foul Geyser ability. The Dark Shaman drop Foulstream Totems upon reaching 80% health. Ashflare Totem: Ashflare Totem grants Earthbreaker Haromm the Ashen Wall ability, and grants Wavebinder Kardris the Falling Ash ability. The Dark Shaman drop AshflareTotems upon reaching 70% health. 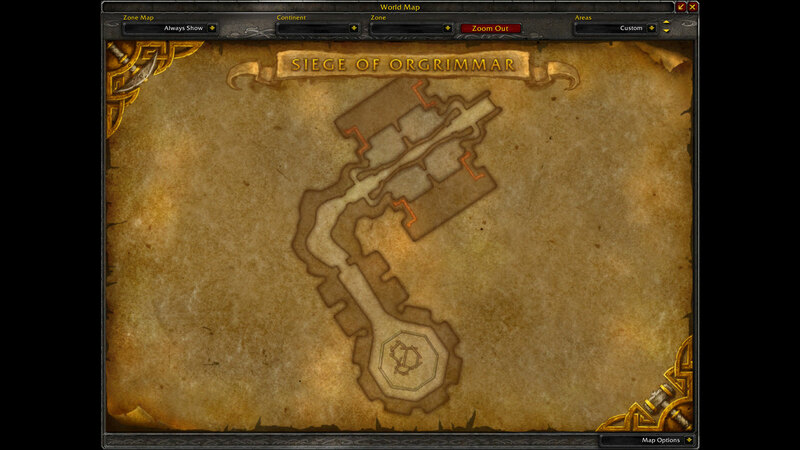 Rusted Iron Totem: Rusted Iron Totem grants Earthbreaker Haromm the Iron Tomb ability, and grants Wavebinder Kardris the Iron Prison ability. 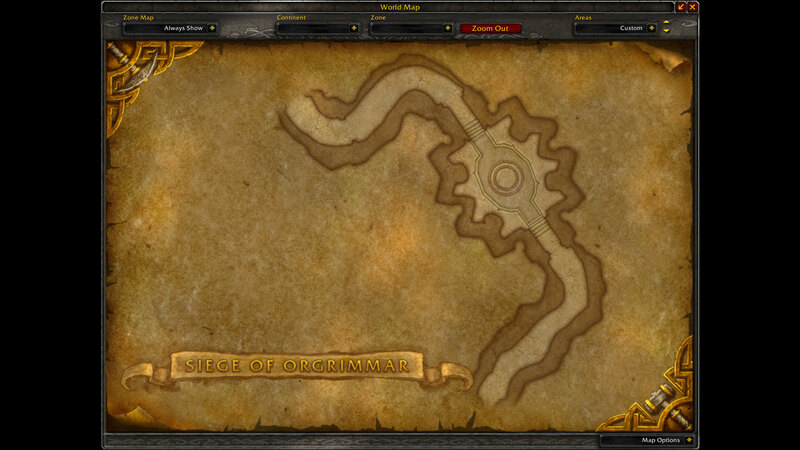 The Dark Shaman drop Rusted Iron Totems upon reaching 60% health. Darkstorm Strike: Strikes a player with charged weapons, inflicting 200000 Nature damage and causing the player to take 100% additional Nature damage for 1 min. Toxic Mist: Injects several players with a toxic mist, inflicting 150000 Nature damage every 3 sec. for 30 sec and causing growing Toxicity. Due to the internal nature of the corruption, Toxic Mist pierces all immunities. This ability is granted by Poisonmist Totem. Toxicity: Increases Nature damage taken by 10% per stack. Foul Stream: A stream of foul liquid inflicts 300000 Nature damage to all enemies on a line. This ability is granted by Foulstream Totem. Ashen Wall: Summons a line of stationary Ash Elementals that will attack any nearby enemies. This ability is granted by Ashflare Totem. Iron Tomb: Inflicts 500000 Physical damage to players within 3 yards and creates an Iron Tomb. This ability is granted by Rusted Iron Totem. Darkstorm Bolt: Fires a bolt of ionized lightning, inflicting 600000 Nature damage. Toxic Storm: Summons a powerful toxic storm that inflicts 200000 Nature damage to players within 9 yards every 2 sec. and periodically creates Toxic Tornadoes. The storm will move around and lasts for 1 min. This ability is granted by Poisonmist Totem. Toxic Tornado: Toxic winds inflict 200000 Nature damage to players within 5 yards every 1 sec. and knock them up. Foul Geyser: Conjure foul water that inflicts 300000 Nature damage to players within 3.5 yards every 0.5 sec. for 8 sec. Each splash creates a Foul Slime. This ability is granted by Foulstream Totem. Foul Slime: Foul Slimes are coated in Foulness. Foulness: Inflicts 100000 Nature damage to players within 3 yards every 1 sec. Falling Ash: Summons a core of smouldering ash that will fall over 30 sec. Inflicts 999999 Fire damage to players within 10 yards and 200000 Fire damage to all players on impact. This ability is granted by Ashflare Totem. Iron Prison: Encases the player in a prison of iron that slowly asphyxiates them, inflicting 100% of maximum health as Physical damage after 1 min. This ability is granted by Rusted Iron Totem.